At 11.30 am on Saturday 9 February 2019, in the Sala Clementina of the Vatican Apostolic Palace, the Holy Father Francis received at the Audience the Teachers and Students of the Alphonsian Academy-Higher Institute of Theology on the occasion of the 70th anniversary of its foundation. I meet you on the occasion of the seventieth anniversary of the founding of the Alphonsian Academy. I thank the moderator general for his words, and I address my warm greeting to you all. This anniversary of your university institute is a moment of gratitude to the Lord for the service of theological research and teaching that it has been able to perform. The specific theological sector proper to the Alphonsian Academy is that of moral knowledge, which requires it to perform the difficult but indispensable task of enabling the encounter and acceptance of Christ in the concrete reality of everyday life, as He who, freeing us from sin, sadness, inner emptiness, and isolation, allows joy to be born and reborn in us (cf. Apostolic Exhortation Evangelii gaudium, 1). In these seventy years the Alphonsian Academy has been committed, as your Statutes recall, to the study of moral theology sub lumine Mysterii Christi, seeking to respond to the evolution of society and cultures, constantly respecting the Magisterium (cf. no. 1). And it has done so by drawing inspiration from its heavenly patron, Saint Alphonsus Maria de’ Liguori. The celebration of the anniversary of an institution such as yours cannot be limited to remembering what has been done, but must above all drive us to look ahead, to rediscover enthusiasm in the mission, to plan courageous steps to respond better at the expectations of the people of God. 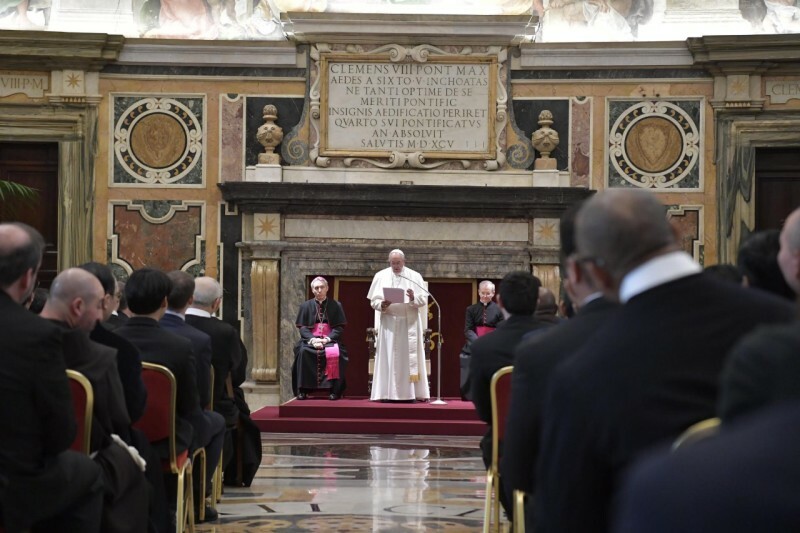 And it is providential that your seventieth anniversary arrives in the period in which all the academic structures of the Church are called to a more decisive commitment to replanning and renewal. It is what I have requested to be done with the Apostolic Constitution Veritatis gaudium on Ecclesiastical Universities and Faculties. 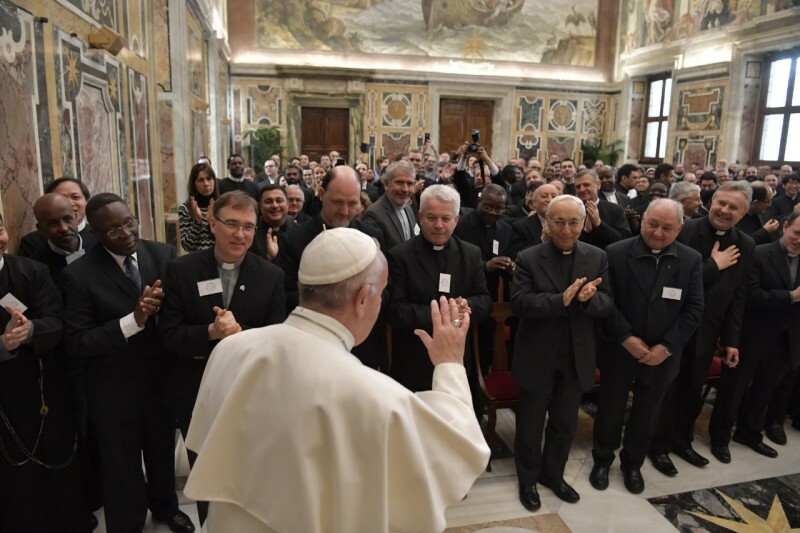 Valuing the “rich legacy of analysis and direction” which sprang from Vatican Council II and implemented with the “persevering commitment to a social and cultural meditation on the Gospel undertaken by the People of God in different continental areas and in dialogue with diverse cultures”, it is necessary to be open to “that wise and courageous renewal demanded by the missionary transformation of a Church that ‘goes forth’” (cf. no. 3). This is not a revision of the statutes and of study plans, but a renewal of all academic life, favoured also by the possibilities that development in informatics offers today to research and teaching. To this end, it is indispensable to assume as an “urgent and enduring criterion … that of contemplation and the presentation of a spiritual, intellectual and existential introduction to the heart of the kerygma, namely the ever fresh and attractive good news of the Gospel of Jesus”. It will thus be possible to initiate a “wide-ranging dialogue, not as a mere tactical approach, but as an intrinsic requirement for experiencing in community the joy of the Truth and appreciating more fully its meaning and practical implications”. And concern for “inter- and cross-disciplinary approaches carried out with wisdom and creativity in the light of Revelation” will be accompanied by acknowledgement of the “urgent need for ‘networking’” not only between ecclesial institutions worldwide, but also “with academic institutions in the different countries and with those inspired by different cultural and religious traditions”, taking into account the “epochal issues affecting humanity today and to offer appropriate and realistic paths for their resolution” (cf. no. 4). 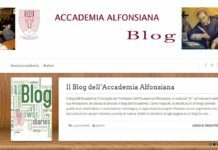 These are demands to which I am sure the Alphonsian Academy is already sensitive, and will be able to respond promptly and with trustful courage, just as in the second half of the last century it succeeded in implementing the renewal of moral theology required by Vatican Council II. Fidelity to the Alphonsian roots of your Institute now demands of you an even more convinced and generous commitment to a moral theology inspired by the missionary tension of an “outbound” Church. Like Saint Alphonsus, we must always avoid letting ourselves be imprisoned in positions of schools or in judgments formulated “far removed from the concrete situations and practical possibilities” of people and families. Equally, it is necessary to be on guard against an “excessive idealization” of Christian life that is not capable of reawakening “trust in God’s grace” (cf. Apostolic Exhortation Amoris laetitia, 36). Instead, listening respectfully to real situations and seeking together to discern the signs of the presence of the Spirit, which generates liberation and new possibilities, we will be able to help all to journey with joy on the ways of good. The realities to be heard are first and foremost the sufferings and the hopes of those whom the thousand forms of power of sin continue to condemn to insecurity, to poverty, to marginalization. Saint Alphonsus understand very soon that it was not a world to defend oneself against, even less to condemn, but rather to heal and liberate, in imitation of the action of Christ: incarnating and sharing needs, to reawaken the deepest expectations of the heart, to make sure that everyone, however fragile and sinful, is in the heart of the Heavenly Father and is loved by Christ unto the cross. Who is touched by this love, feels the urgency to respond with love. All words of moral theology must let themselves be formed by this merciful logic, that enables them to be encountered effectively as words of a life in fullness. They are indeed an echo of those of the Master Who says to the disciples that He has come not “to judge the world, but to save the world” (Jn 12: 47), and that the will of His Father is that “they may have life, and have it to the full” (Jn 10: 10), and participate fully in His joy (cf. Jn 17: 13). “Although it is quite true that concern must be shown for the integrity of the Church’s moral teaching, special care should always be shown to emphasize and encourage the highest and most central values of the Gospel, particularly the primacy of charity as a response to the completely gratuitous offer of God’s love” (cf. Apostolic Exhortation Amoris laetitia, 311). With the apostle Paul, moral theology is called to make all people experience that “free from the law of sin and death”, for which we cannot “live in fear again”, having received the Spirit Who “brought about your adoption to sonship. And by Him we cry, ‘Abba, Father’” (cf. Rm, 8: 2, 15). And the same Spirit ensures that this freedom may never be indifference with regard to those in need, but the “heart of the neighbour” who allows himself to be called upon and is ready to provide loving care. 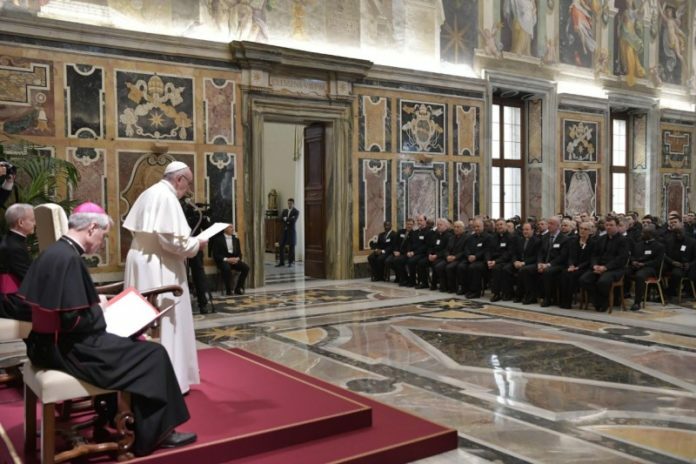 In these recent years, moral theology has been committed to welcoming the strong demand of Vatican Council II to overcome an “individualistic morality” and to promote the awareness that “the more unified the world becomes, the more plainly do the offices of men extend beyond particular groups and spread by degrees to the whole world” (Pastoral Constitution Gaudium et spes, 30). The steps taken must impel us to face with greater promptness the new and serious challenges deriving from the rapidity with which our society is evolving. I name only those due to the growing dominance of the logic of “the laws of competition and the survival of the fittest”, which considers “human beings [as] … consumer goods to be used and then discarded”, giving rise to “throwaway culture” (cf. Apostolic Exhortation Evangelii gaudium, 53). The same must be said for the cry of the earth, violated and wounded in a thousand ways by selfish exploitation. The ecological dimension is a necessary component of the responsibility of every person and every nation. I reflect on the fact that when I administer Reconciliation – even before, when I did so – only rarely does someone admit to having carried out an act of violence to nature, to the earth, to creation. We do not yet have awareness of this sin. It is your task to do this. Moral theology must take on board the urgency of participating in a convinced manner to the common effort towards the care of our common home through practicable ways of integral development. Moral research is also called to carry out dialogue and shared commitment also in relation to the new possibilities that the development of the biomedical sciences makes available to humanity. There should never lack a frank testimony of the unconditional value of every life, reiterating that it is precisely the weakest and most defenceless life that we are called to take responsibility for in a united and trustful manner. 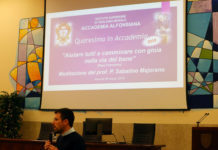 I am sure that the Alphonsian Academy will continue to be committed to a moral theology that does not hesitate to “get its hands dirty” with the concrete reality of problems, especially with the fragility and the suffering of those who most see their future under threat, bearing witness with frankness to Christ, “the way and the truth and the life” (Jn, 14: 6). 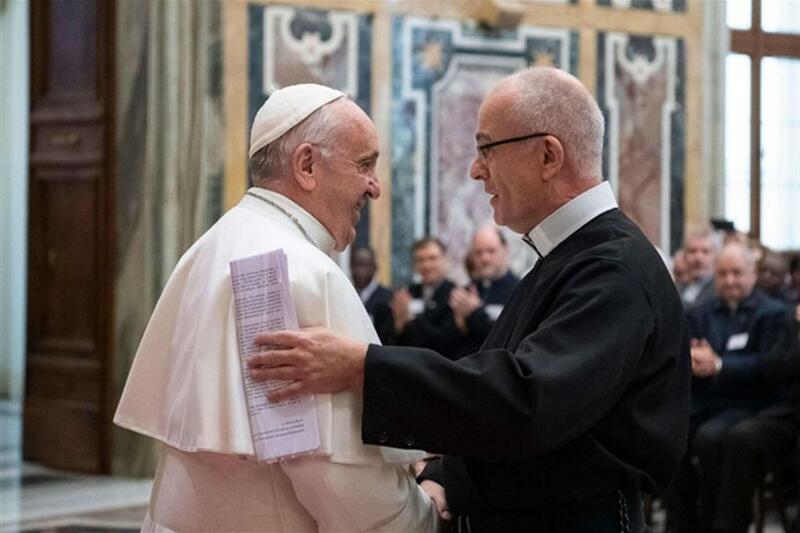 Dear brothers and sisters, while I thank you for this visit, I encourage you to continue your ecclesial service, in constant adherence to the teaching of the Church, and I heartily impart to you all my Apostolic Blessing. Please, remember to pray for me! Thank you.